We are hosting a ski-a-thon. Students are invited to ski as many laps as they can safely complete on the Tiehack side of Buttermilk Ski Area. We will have teachers, and other volunteers at the bottom of the mountain cheering them, encouraging them, and making for a festive day on the hill. 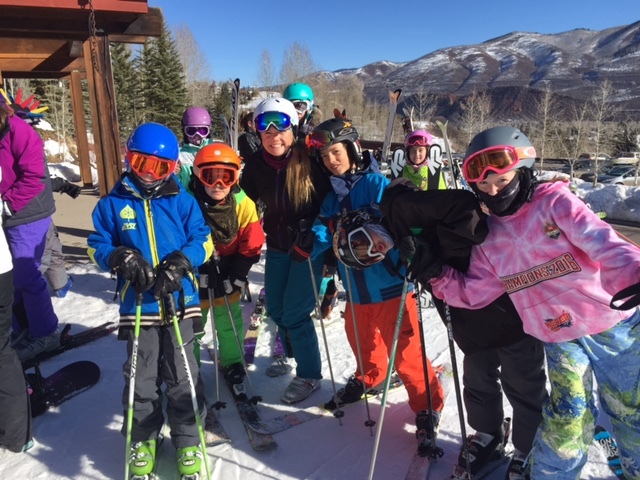 Prior to the ski day, students are invited to ask for pledges from friends and family outside of the school community in an effort to raise money for their own 8th grade trip. An account has been created for each class, so that each group of students can accumulate a fund which will go towards their own trip. A culminating 8th grade trip prior to graduating from ACS is a profound experience, and we want each student to have this opportunity. Such an experience comes at a cost, and requires a great deal of planning. Traditionally this cost was covered through 8th grade parent contributions and the ACS Garage Sale. In the absence of the Garage Sale, each graduating class has needed to create other means of fundraising. Through the ski-a-thon, students and families will have multiple years to engage in their fundraising process. We invite each student to raise as many pledges as possible throughout the years, to ease the burden of their 8th grade contribution. We ask that each student participate in both aspects of the fundraiser, getting pledges and skiing on the mountain. There is no minimum pledge required (except for the 8th grade class) but hope that each student will put in an effort to help out their classmates through the years.